Description In a beautiful winter decor, the snow falls slowly, the Winter Trendy Princess lives in a fantastic wonderland in a big castle. 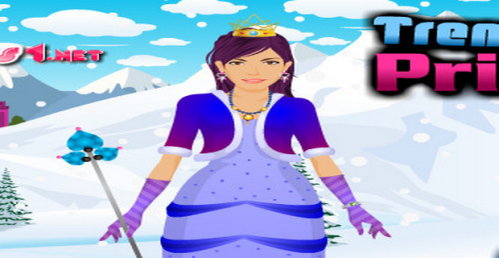 The Princess is waiting for you to help her to choose the best clothes for this winter season! She wants to be trendy, elegant and cool. Check out her royal wardrobe and choose for her the dress you like the best of all. Don't forget to, also pick up, some jewelries and change her haircut the way you want. Enjoy!